You may have seen reports about the Momo Challenge on the news and social media. As always, parents should monitor their child’s use of computers and mobile devices to ensure proper usage. Please be vigilant with what your children are watching and playing even your young children. If your child forgets their lunch at school, they will be able to purchase lunch in our cafeteria. Each of our students have an account. You can manage the account by going to https://www.myschoolbucks.com. There is more information located on our website under the Parents tab. We would like to limit the number of class interruptions during the school day especially when they are not necessary. Parents and Guardians, please update your emergency contacts with our main office. Please remember to bring identification when entering our building. Important! If there is any change in your child's routine (ex: not taking the bus, picking up early, etc. ), please write a note to your child's teacher explaining the change. Jane Goodall Webinar! JLCS 5th grade question answered! Please visit www.teacherlists.com to view your child's supply lists. You will have the option to purchase all supplies online and have them shipped to home or if you prefer to go to the store, please print the lists. In order to avoid congestion, the main entrance should only be used if your child is attending an early morning activity or arriving to school after 8:20a.m. Most of our clubs and extra help do not begin until 7:30am. Please do not bring your child any earlier as our security personnel begins the day at 7:30am. All students that walk to school enter the school from the playground. Students should enter the building through the doors on either side of the auditorium (Exits 8 and 10). There are staff members monitoring these exits. The first bell rings at 8:10 a.m. and students may enter the building at this time. We ask that students who walk to school, time their arrival so as not to arrive before 8:10 a.m. 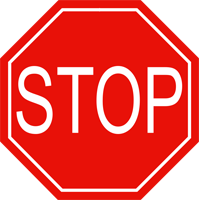 They will not be considered late until 8:20 a.m.
DROP OFF PROCEDURES – Drop off is on the east side of Flower Avenue where staff members are stationed assisting in the utilization of the STOP, DROP, and ROLL procedure. These staff members guide students to walk to the corner of Flower and Elizabeth where the crossing guard directs students across the street. There are additional staff members at the receiving corner to guide students into the school building at the corner exit (Exit 15). This protocol enables parents to quickly pull to the curb and allow the child to exit the car and then pull right back out. It allows traffic in this area to move smoothly. Cars may not park in this area and children should have all their items on hand so that they may be able to quickly exit the car. Please review the above procedures with your child and if you have any questions, please contact the main office. 9:30 AM - 10:45 AM Student Council "Pennies for Patients"